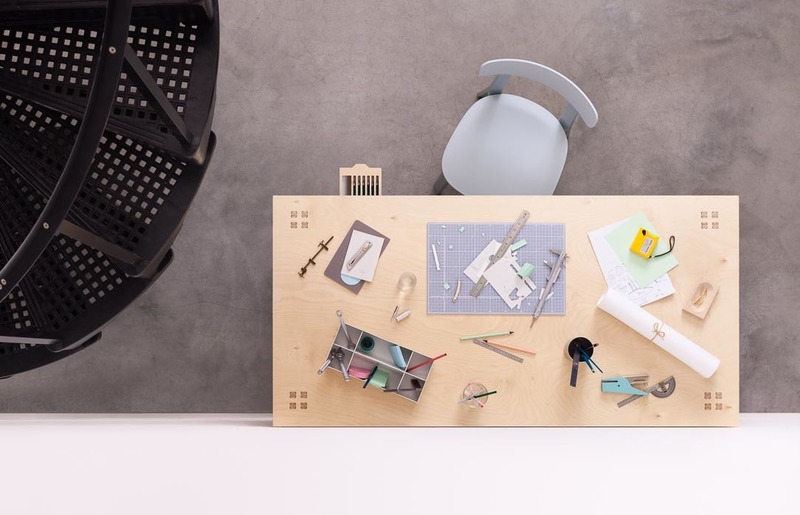 As we launch our new and improved Breakout Table, we thought the timing was perfect to examine the surge in breakout areas – what they are, why you need one and how to design the perfect collaborative space for your office. 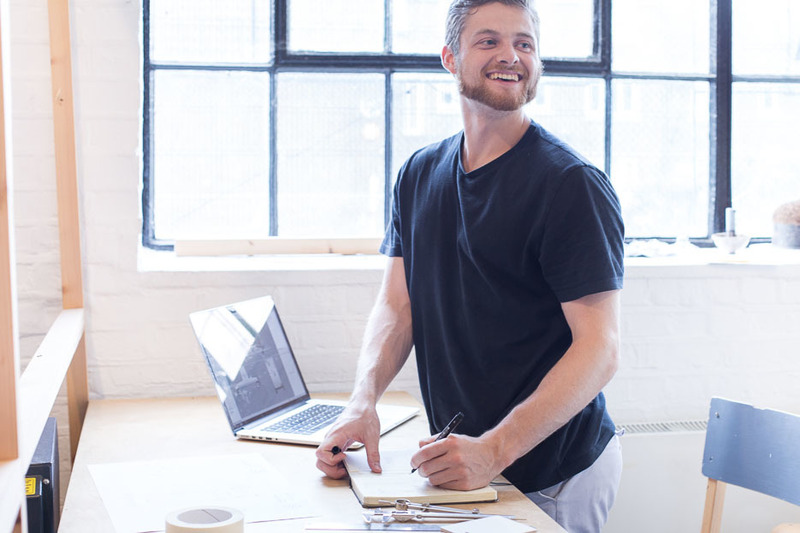 We’ve also had a chat with the designers of the Breakout Table, Josh Worley and Joni Steiner, on the origins of the design, how cutting time has been reduced by 40%, and other tweaks made with you, the user, in mind. 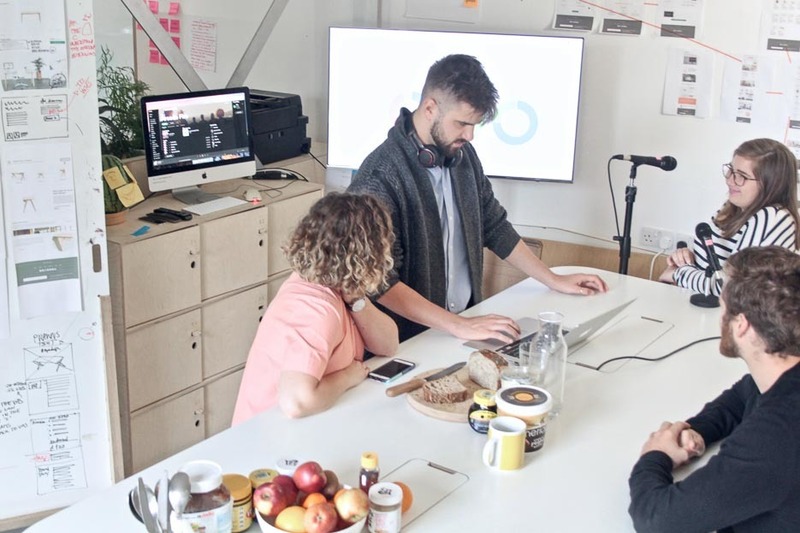 Not quite a meeting room, a breakout area is a multifunctional space where team members can gather and work in a more informal setting - think brainstorms, daily standups and collaborative work. 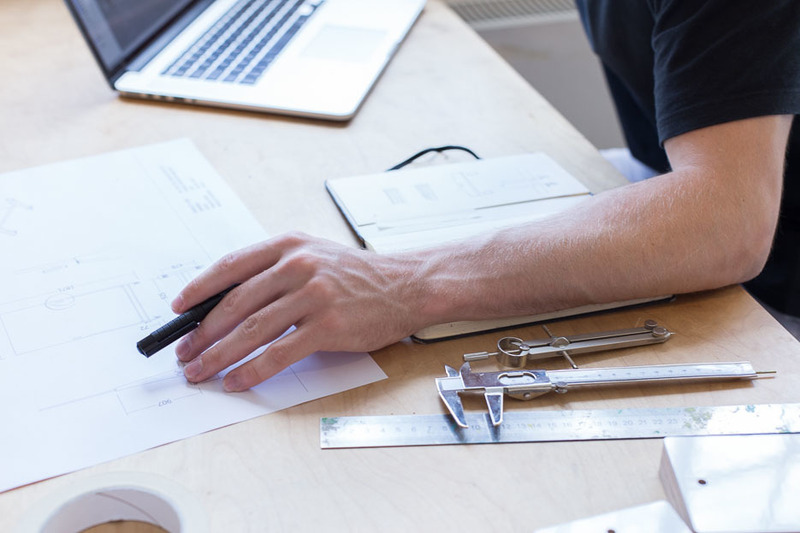 They’re fast becoming a key part of office design schemes, and for good reason: it’s been found that meetings conducted in a more informal setting are more productive and brainstorming yields better and more creative ideas. 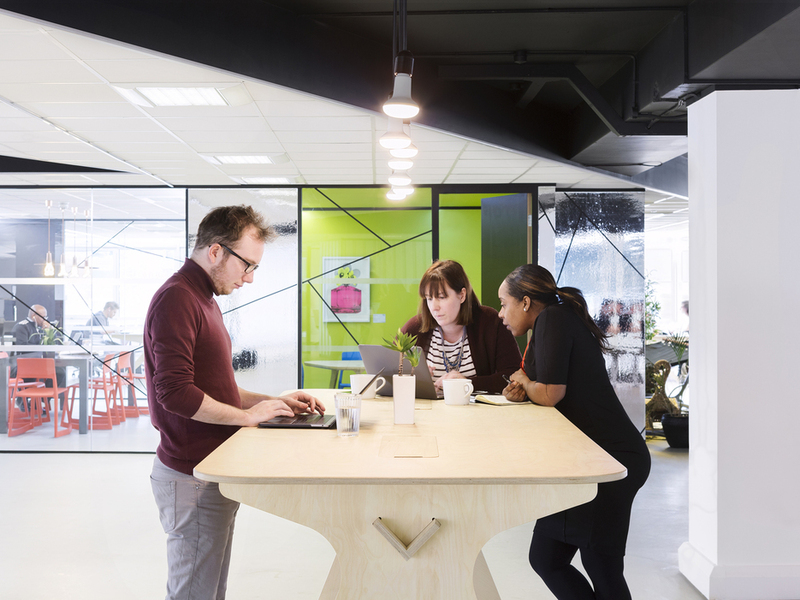 There are a few basic things to bear in mind to ensure your team gets the most out of your informal working area. Power: Have readily available power for those working on laptops. 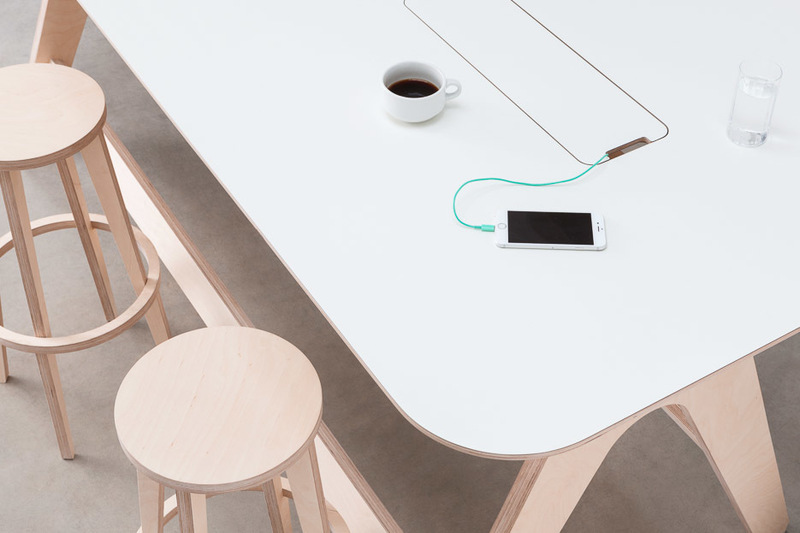 We recommend purchasing a few extra chargers and have them permanently live in your Breakout Table. Screen: Do you regularly have team members calling in, or informal in-office presentations? If so, a good screen is important. We have also have Apple TV for easy screen sharing. Sit/Stand: Giving people the option to sit or stand for informal meetings is also a good idea. We find if people have been sitting all day they jump at the chance to be on their feet (literally), but the addition of Nimble Stools ensures everyone is covered. Collaborative Tools: Have a good supply of the tools needed for your team to use the collaborative space: think pens, post-it notes, paper etc. We have a couple of Whiteboards too for capturing everyone’s ideas. Positioning: Do you want your breakout space to be slightly secluded or in the centre of the office? If you have a development team or others who need a bit of peace and quiet to get on with it, maximise the distance between where they sit and your breakout space. Overall, we found the best way to tackle these issues was to get everyone’s input and action accordingly. 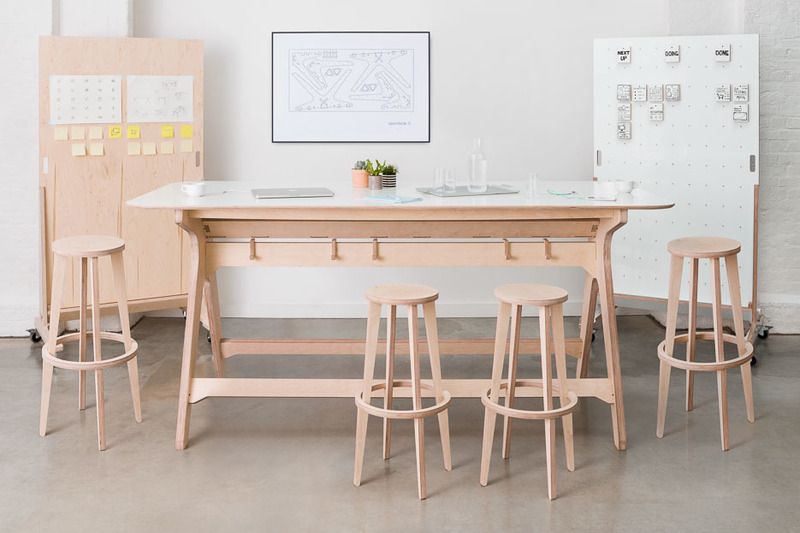 For a case in point let’s take a quick look at the Opendesk breakout space – we love it! We’ve kitted it out with a big screen and Apple TV for easy screen sharing and remote working access. 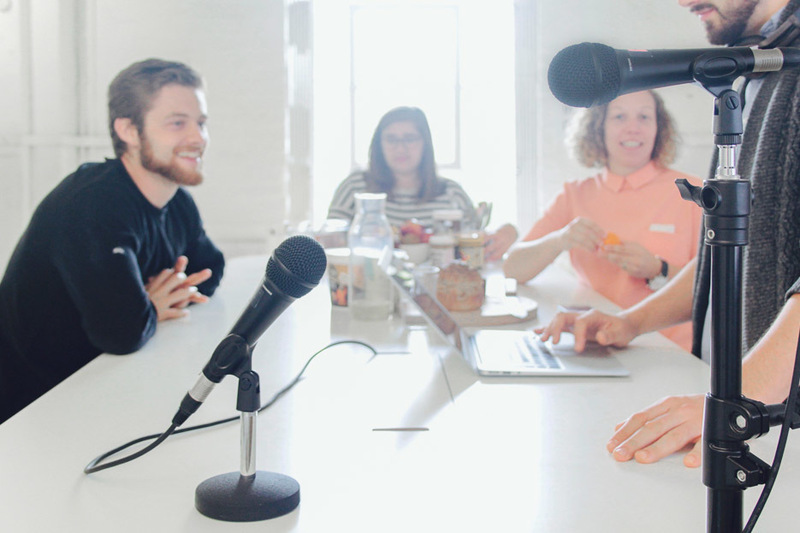 There are even a couple of microphones to ensure those out of the office feel as though they’re in the room from a sound quality perspective. So if the need for karaoke should arise (which it no doubt will) we conveniently have the perfect setup! Standups: Every morning we get together for a quick standup where each team provides an update, using Trello, on what was achieved the day before and what’s on the agenda for the day. Monday morning breakfast: We don’t do a regular standup on Mondays, instead we catch up over croissants, impossibly delicious bread from Pavillion on Broadway Market and coffee. Lots of it. Shares: on Friday afternoons we have an interesting startup come in and tell us about what they’re doing and their current challenges (past ones have included SAM Labs, Joto and Ooho Water), otherwise someone from Opendesk will share a bit of work they’re proud of or a project they’re currently immersed in. Coffee is replaced with beer and Aperol, naturally. Informal meetings: if something pops up, people tend to congregate around the breakout table. It’s the much-loved centerpiece of the office! And as the clock strikes 12, it magically morphs into a banquet table as the team gets together and eats lunch. 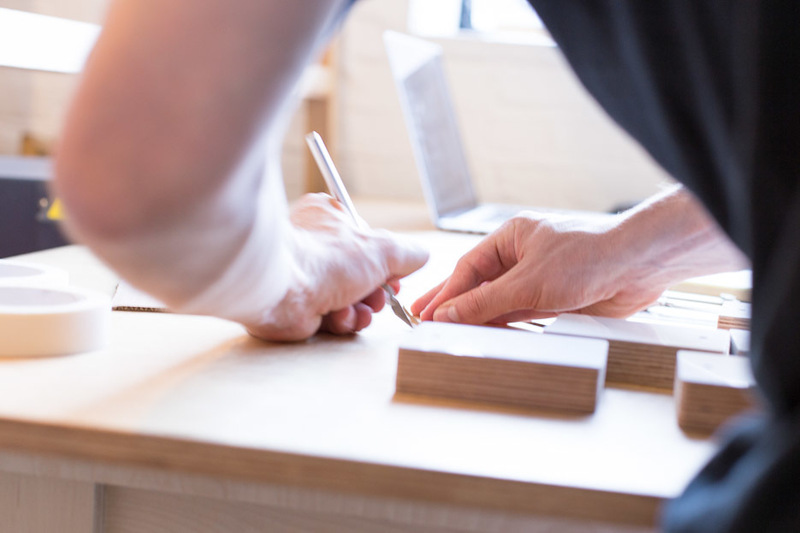 We had a chat with Josh Worley, one half of the design duo behind the Breakout Table, on the history of the design and what this latest version brings to the table. 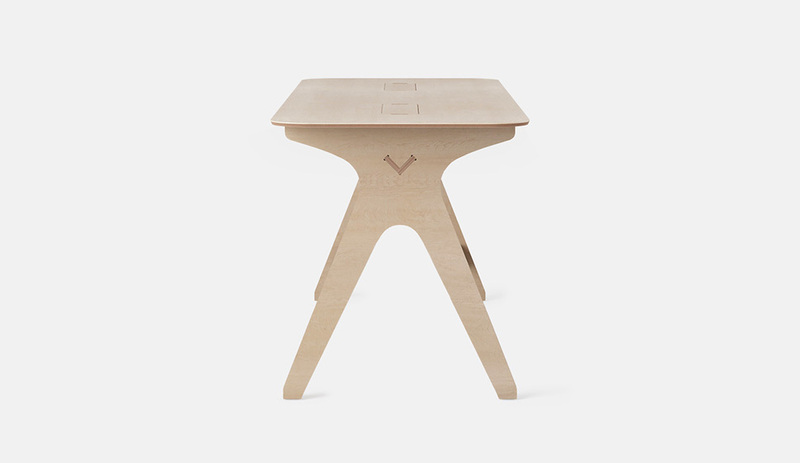 OD: This was one of the first Opendesk designs. Tell us about the history? 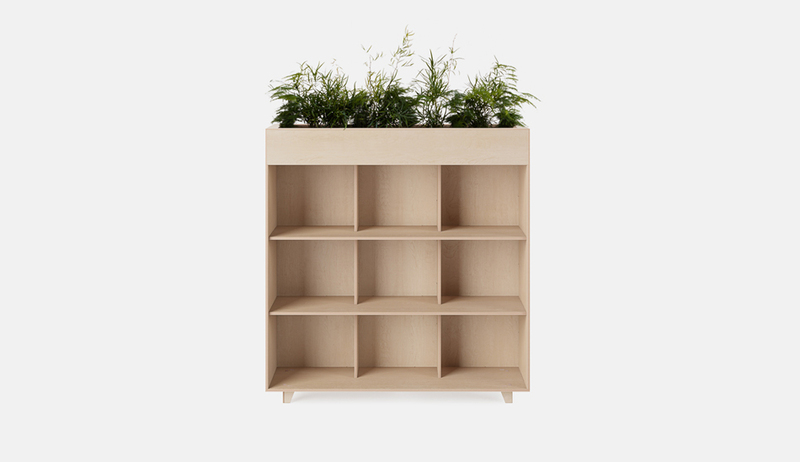 JW: The Breakout Table was one of the first designs to appear in the Opendesk collection after our successful crowdfunding campaign on Crowdcube in August 2014. The money raised (with additional government funding) paved the way for some of the first hires, myself included. 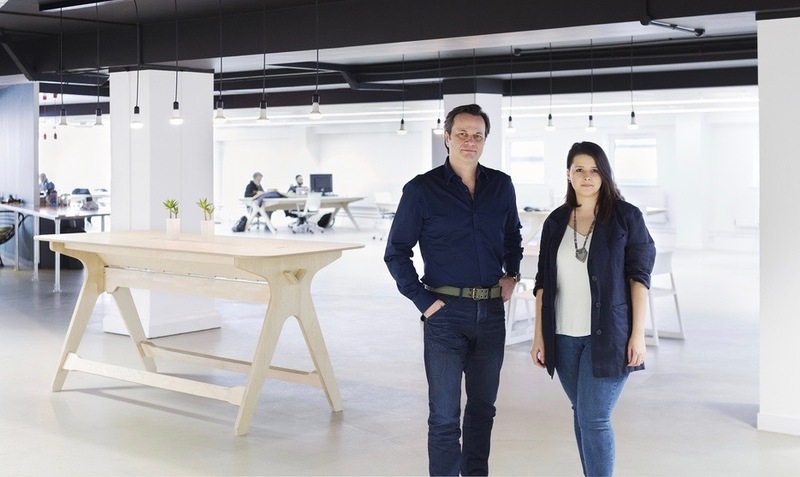 At that time, the then team of seven were huddled around an original Lean Desk in Wayra’s Central London incubator. We shared the space with many other bright start-ups including Yoyo - now Europe’s largest multi-brand mobile payment & loyalty app. The Yoyo team were desperately looking for a table that would support meetings and shares during the week, and socials come Friday. 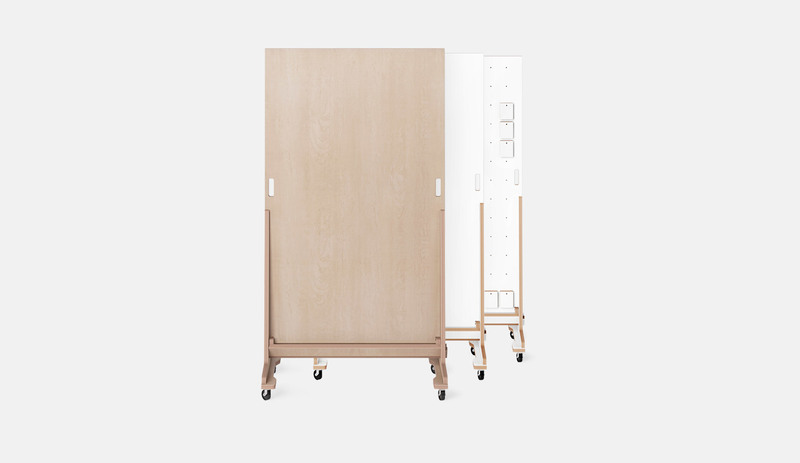 Our answer was the Breakout Table; a standing desk that could be Yoyo’s productivity hub on Monday, Tuesday, Wednesday and Thursday, and their mini-bar on Friday. JW: Rather than starting a new design from scratch, we took many structural and aesthetic elements from the popular Team Desk. We extended the legs, added an overhanging top and introduced neat features. This actually represents something significant in the world of physical product design. In open source software, source code can be accessed before being changed and re-published. This is called “forking”. Whilst a well-established concept in software, “forking” is an entirely new concept in design. In a sense, we forked the Team Desk by changing the source code (digital fabrication file) and publishing the new file as the Breakout Table. OD: Tell us about some of the tweaks to this latest version of the Breakout Table. JW: We’re always listening to feedback from those making our furniture and those using it. We collate feedback and make improvements regularly. Some improvements are almost unnoticeable, others are wholesale changes to aesthetical details and structure! 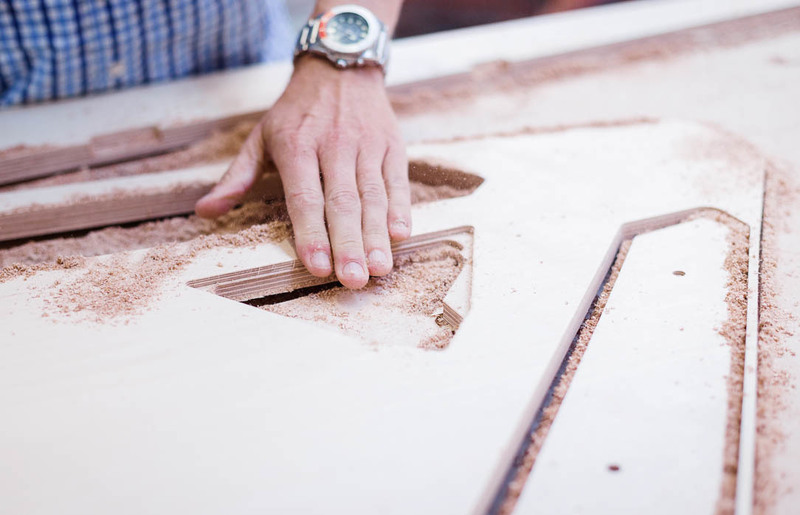 As a result, this latest version of the Breakout Table is single sided and we’ve managed to reduce it from four to three sheets of ply, decreasing cutting time by 40%. Some small design tweaks mean it’s also sturdier than previous design versions, with bolts added to the ‘V’ beam. From an aesthetic point of view, the ‘V’ beam is now flush with the legs. 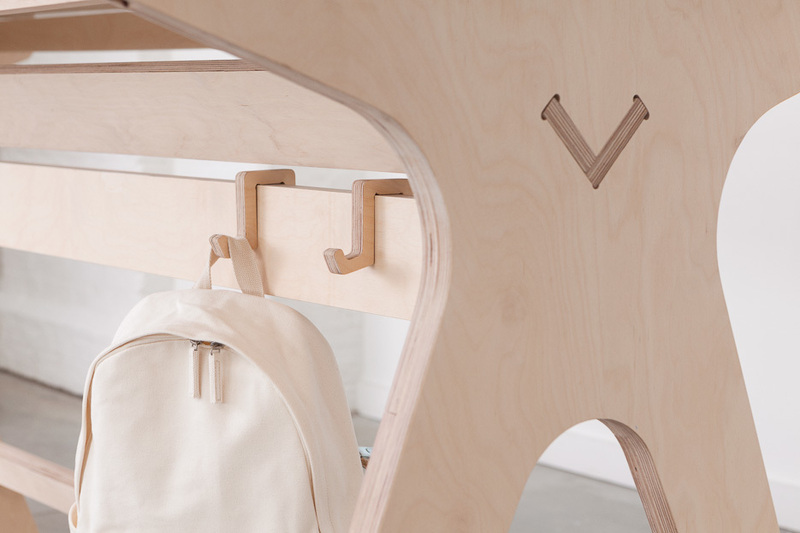 You’ll also notice the hooks are no longer fixed, allowing for more flexibility in how the product is used. OD: What do these improvements mean for those who already have a Breakout Table? JW: Previous iterations of the Breakout Table are stored in our version controlled product database. We can make these available in special circumstances. If a customer previously ordered version 1.0.0 but the design has been updated to version 3.0.0, we can retrieve the old files should that customer wish their tables to match. 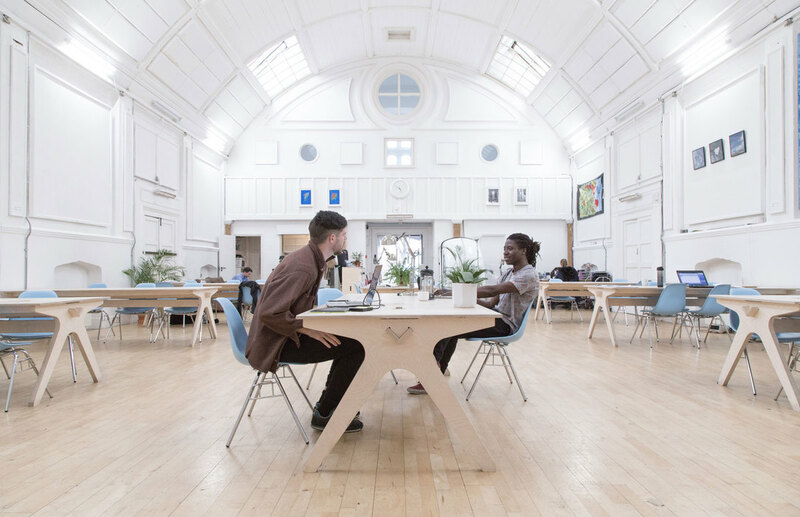 Maker Wharf is a friendly co-working space, run from a church hall and rooted in the local East London community.